In providing the Services to you, we may use web beacons and cookies or similar technologies in conjunction with your Anonymous Information to personalize and improve your use of and experience with the Services. Even though the suspicious PlayBryte Virus does not modify the browser settings or initiate unauthorized web page redirecting, it is related to unwelcome, potentially dangerous adware attacks. The clandestine program potentially could filter search results and interrupt web browsing with various online advertisements. It has been discovered that even certain keywords presented by the program could prompt advertisements. If you notice promotional content within your search results or pop-up ads coming from the bottom right corner of the screen, you certainly need to refrain from clicking on them. 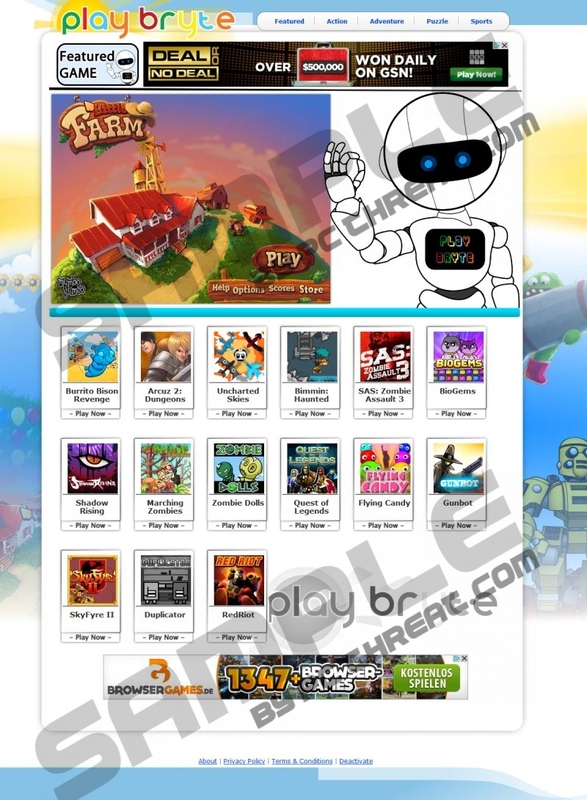 You should remove PlayBryte Virus because it acts as a browser helper object and can employ cookies to track information, which later on could be leaked to unfamiliar third parties. As research shows, it is enough to delete PlayBryte Virus from the computer in order to remove the undesirable BHO from your Internet Explorer, Mozilla Firefox, Google Chrome and other Internet browsers. Nonetheless, if you think that your PC is running disorderly, you should inspect it in order to make sure that no dangerous applications are running. Install a reliable spyware scanner to examine the system and discover which programs require removal. Double click Add or Remove Programs. Click the Start menu icon and open Control Panel. Navigate to Uninstall a program. Right-click the application you wish to delete and hit Uninstall. Tap the Windows key to access the Metro UI start screen and right-click on the background. Click All apps, then open Control Panel and go to Uninstall a program. To remove the undesirable program right-click it and select Uninstall. Quick & tested solution for PlayBryte Virus removal.